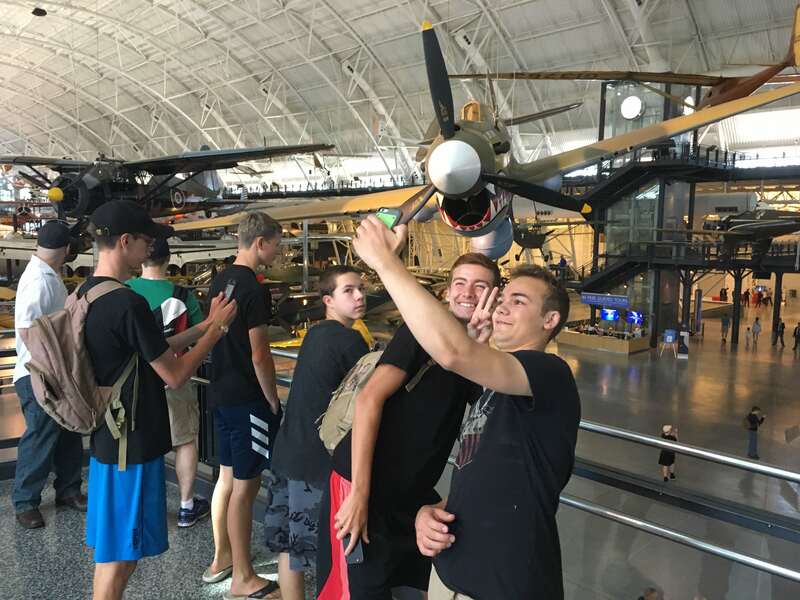 After a successful event at Cox field in Apex, NC the previous weekend, NC-143, the Johnston County Composite squadron, conducted a field trip to the Steven F. Udvar-Hazy center near Washington, DC. 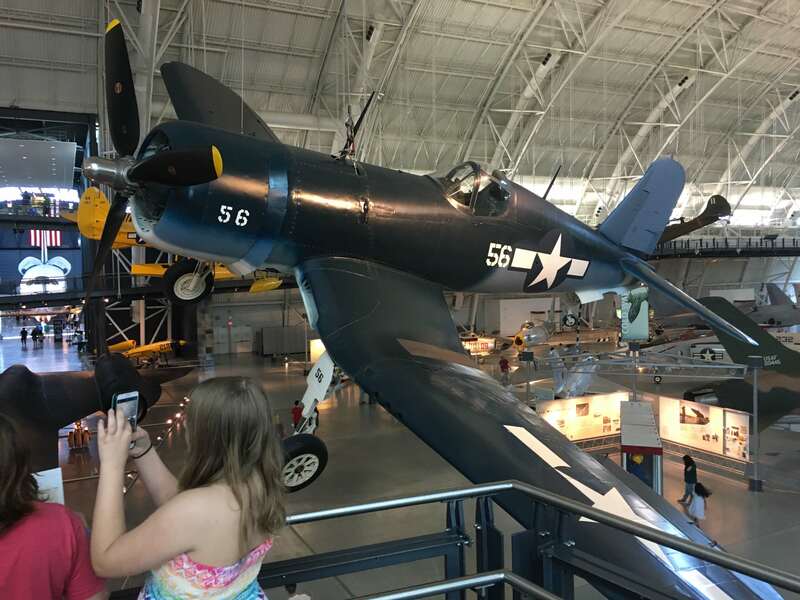 This was a squadron sponsored field trip and open to all members of JNX composite squadron. Three senior members, Lts. 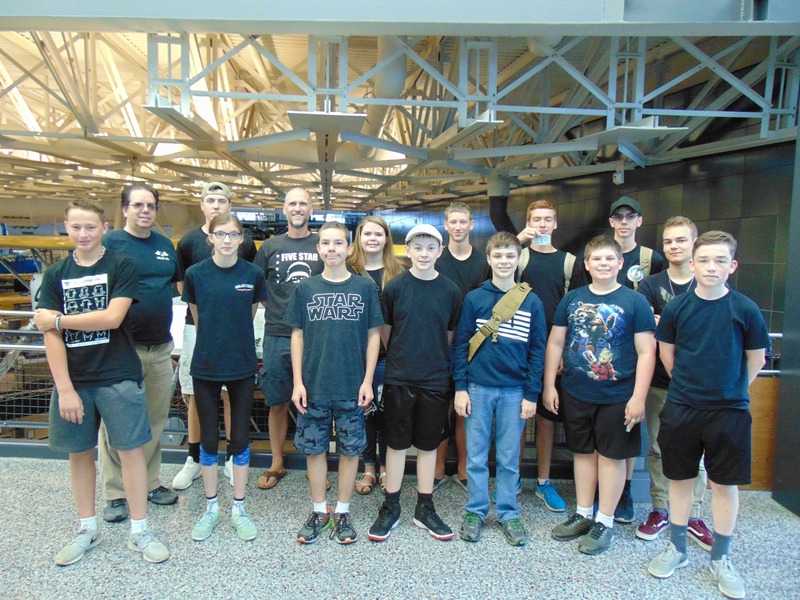 Gwen Nesbitt and Dan Moore, along with Lt. Col. Bill Ryan of Middle East Region each drove a vehicle transporting cadets and baggage on the five hour trip from Johnston County to our overnight stop in Stafford, VA. We had in tow 13 cadets of all ages and ranks. We departed at 2pm on Friday May 11th, returning Saturday May 12th at 8pm making this an easy overnight trip. 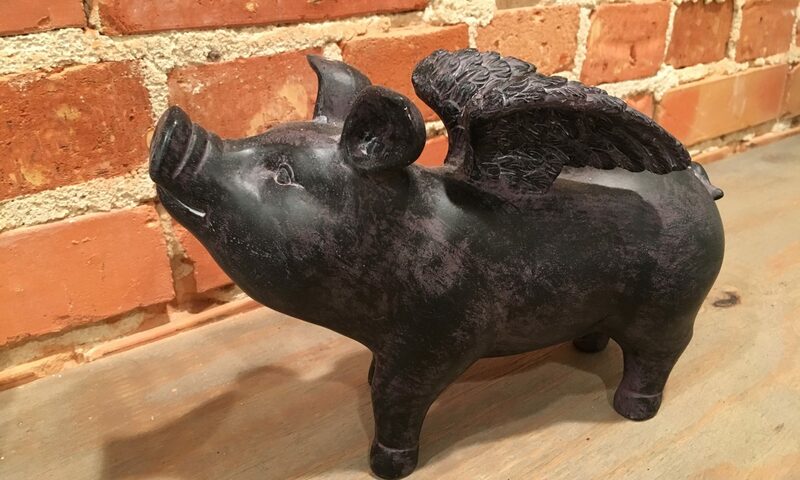 Click for full size image. Panoramic shot of family room and JNX 143 personnel. The plan was to drive North as close to DC as we could get on Friday afternoon, grab dinner, and then overnight as a group. After a pizza dinner at CiCi’s pizza, we retired to our overnight accommodations. 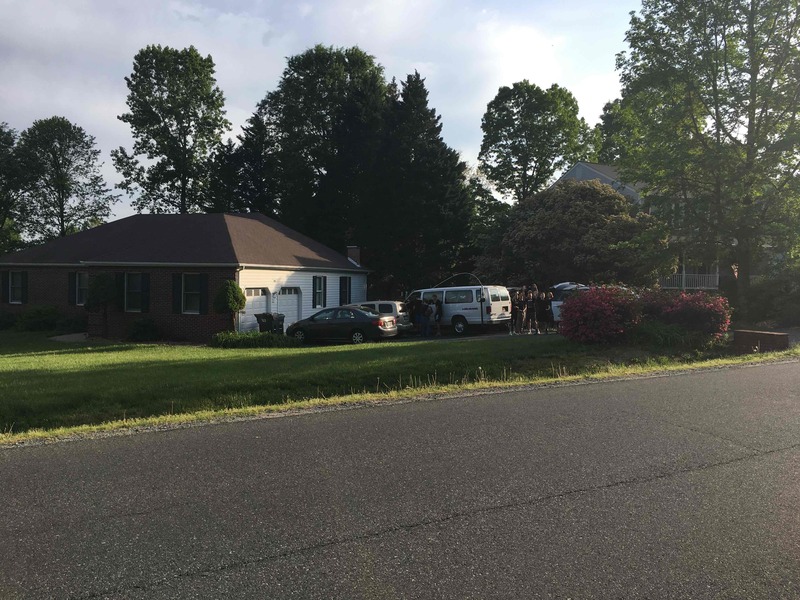 A first for most of the people on the trip, we stayed at an AirBnB in Stafford, VA as our overnight stop. We found a house that had an entire finished basement with a large family room, a kitchen, two bedrooms and a private bath. The females had their own private bedroom, the senior member men had a bedroom to themselves, and the male cadets all shared the family room. It was an affordable and comfortable arrangement for a trip like this and one we would use again. As luck would have it, the owner of the house worked for the FAA and came down and gave a short presentation on what Air Traffic Control is and some of the magic that happens behind the scenes. An added bonus on this educational trip. 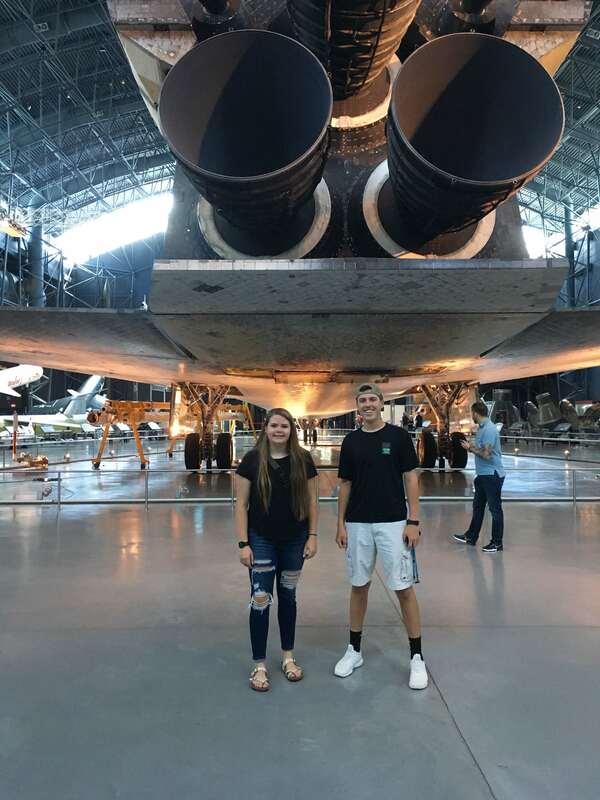 The next morning, well rested and ready to go, we stopped for breakfast and then headed to the Udvar-Hazy center. The center, only 1 hour away opened at 10am making for a stress free morning. 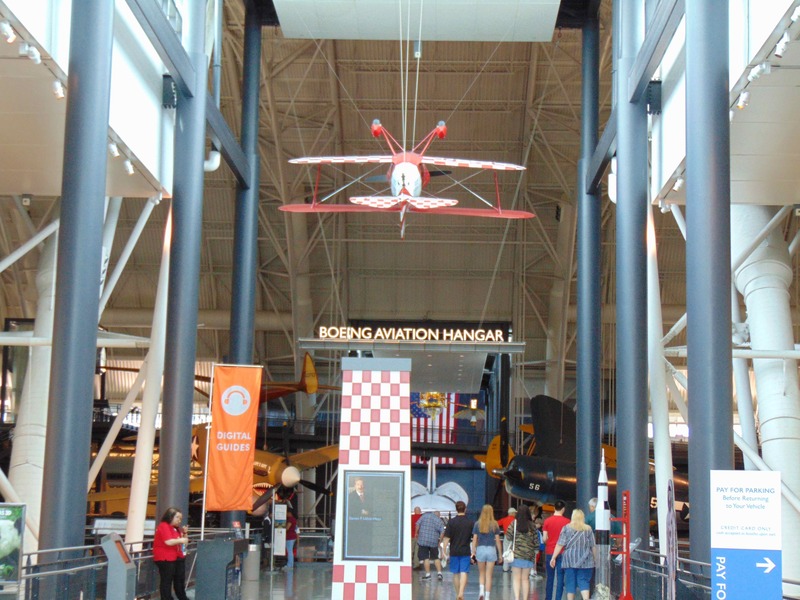 The Udvar-Hazy center has free admission but does charge for parking. However I learned at checkout that because we were a field trip, they did not charge us for parking, a nice bonus. This is the view when you enter the center. 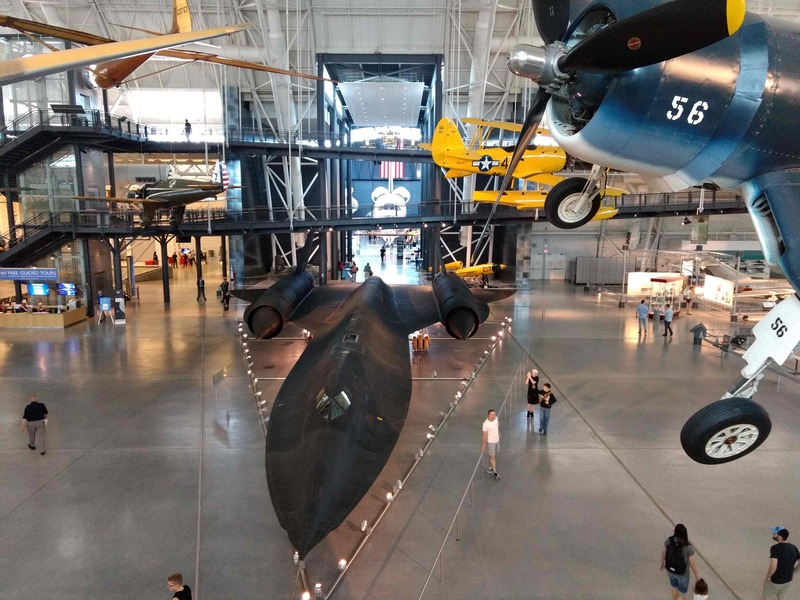 The SR-71 is the centerpiece of the front section, and the Space Shuttle is the centerpiece in the back. However the entire place is filled with three floors of things to look at and acres of history. We stayed together as a group for a short time, then turned the cadets loose to explore on their own in small groups, checking in every few hours at the SR-71. This allowed everyone the freedom to concentrate on the areas they were most interested in. Before everyone scattered, we walked upon a museum docent talking about the B-29 displayed in front of us, the Enola Gay. I leaned over and said, “No. Not a plane like this. 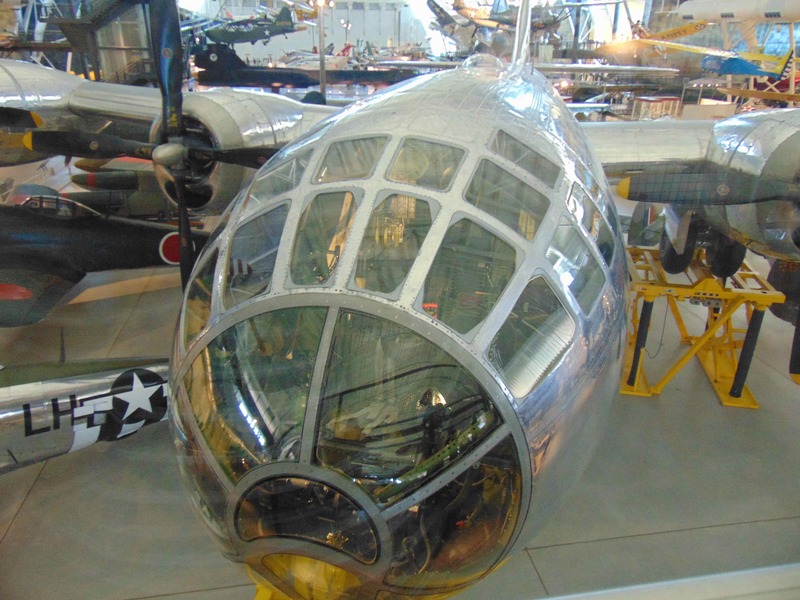 THIS plane dropped the atomic bomb. Not one ‘like it.’You are standing in the Smithsonian. All the planes you see hanging in here are the actual planes that set the world record, flew for the first time, flew around the world, etc. Everything here is unique.” The cadets got wide eyed for a second, looking around in wonder. It was a great moment of discovery. After this brief exchange, we turned the cadets loose to explore whatever parts of the facility they wanted to see. 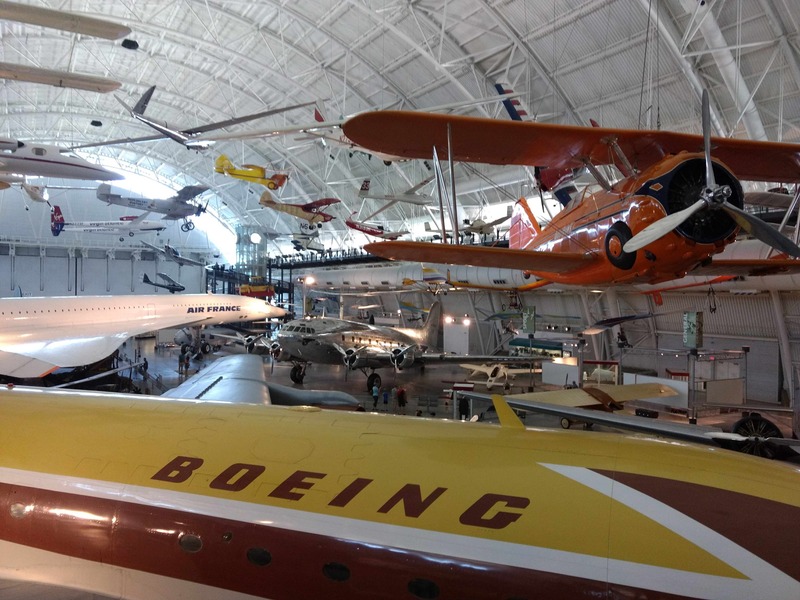 Sections like the commercial aviation section with the Concord and Boeing 707. The World War II aircraft section with Corsairs, P-40s, P-47s, P-38s, and German aircraft I’d never seen or heard of. The Space Exploration section with rockets, satellites, and even the Space Shuttle Discovery. I overheard one cadet remarking “…how the scorch marks on the shuttle were from SPACE! 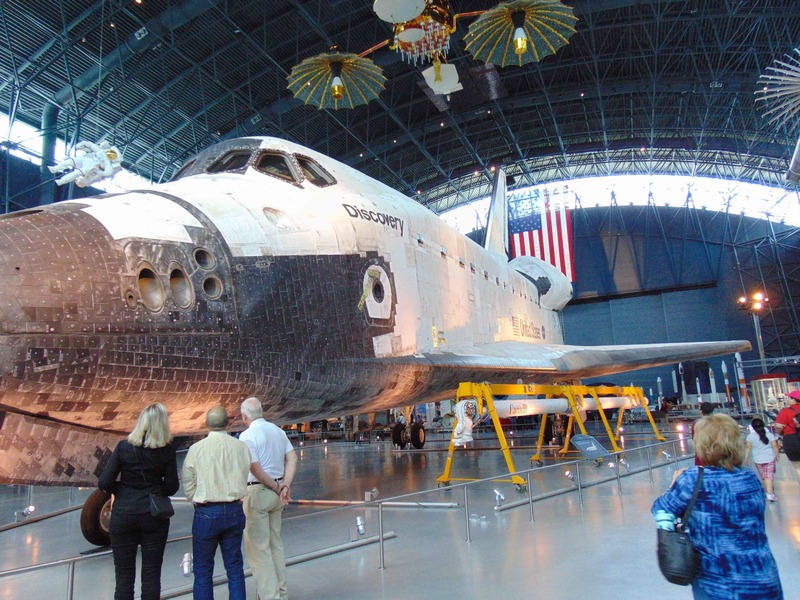 They didn’t clean up the shuttle after its last flight.” Everything on it was authentic and they were quite impressive. 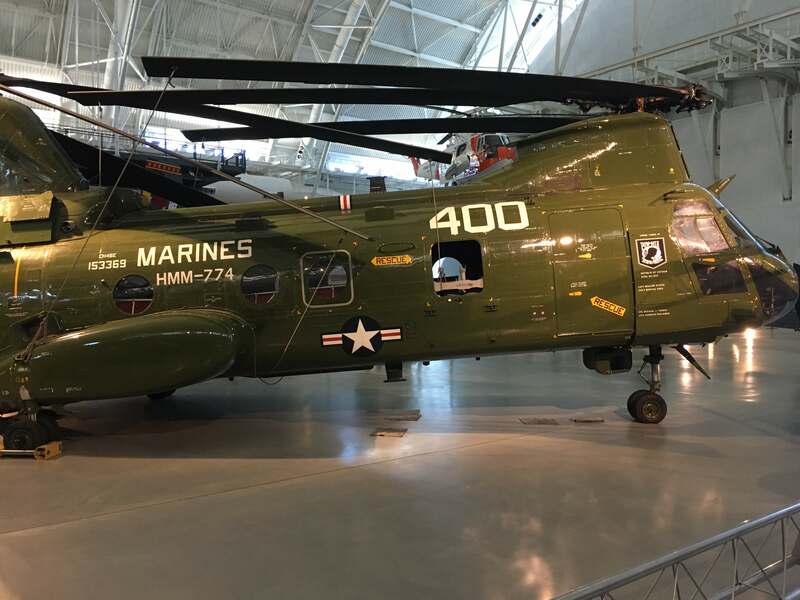 Or the modern aviation section with aircraft such as the CH-46 below, F-14s, Sabre jets, Mig 21s, etc. Click for full size image, panoramic shot of one small part of the center. 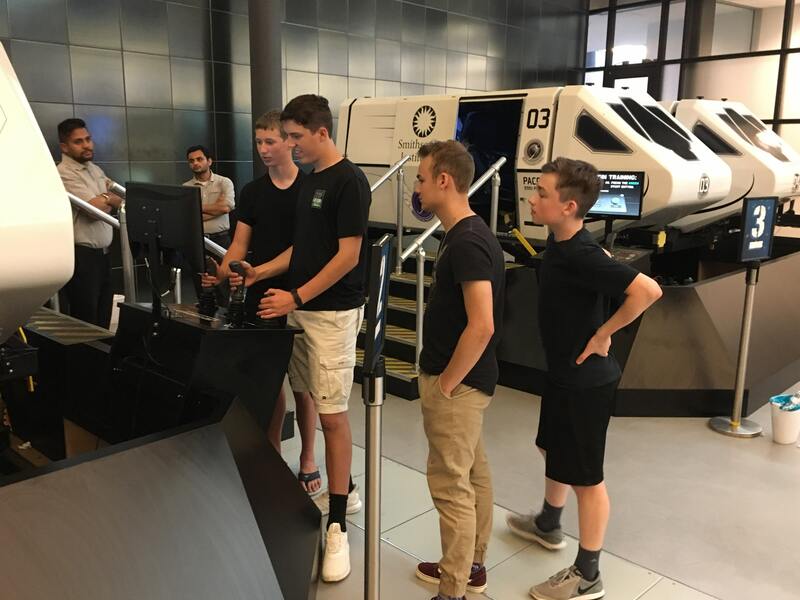 While the cadets all enjoyed the entire center, the highlight of the trip for them was the simulators. When I first walked in the door, the cadets were abuzz about the simulators they’d seen. 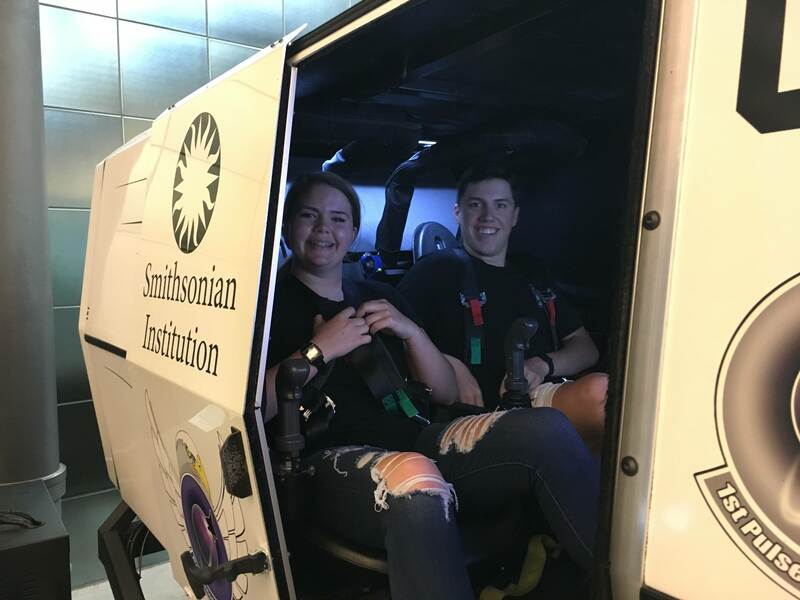 I was a bit disappointed that with all the real history hanging in front of them, they wanted to play a video game however once I saw the simulators myself, I could see the appeal. These simulators were basically a jet dogfighting game hooked up to a hydraulic motion simulator. Yawn, I’ve seen that before. But these simulators had a neat trick. These simulators rotated 360 degrees around the long axis. And the rotation was directly linked to the aircraft you were piloting on screen. That meant when your video game jet went upside down, so did you. I don’t know how much money we spent as a group hanging from the straps but I’m sure we more than paid what would have been our admission tickets had this place charged. I say we because your author also went for a ride, spending my share of time upside down. It was quite fun. Whenever they surplus these things out, we need to put in for one for NC wing. From left to right, Cadet Kyle Scott, Lt. Col. Bill Ryan from MER, Cadet David Sperling, Cadet Isabelle Grimm, Lt. Dan Moore, Cadet William Nesbitt, Cadet Lyndsey Oetjen, Cadet Preston Elrod, Cadet Carter Moore, Cadet Scott O’Neal, Cadet Rile Goshorn, Cadet Alex Nesbitt, Cadet Tyler Elrod, Cadet Cole Contos, and Carter Contos. Not pictured, as with most moms, was Lt. Gwen Nesbitt who was behind the camera. We had an enjoyable trip home, caravanning as a group. 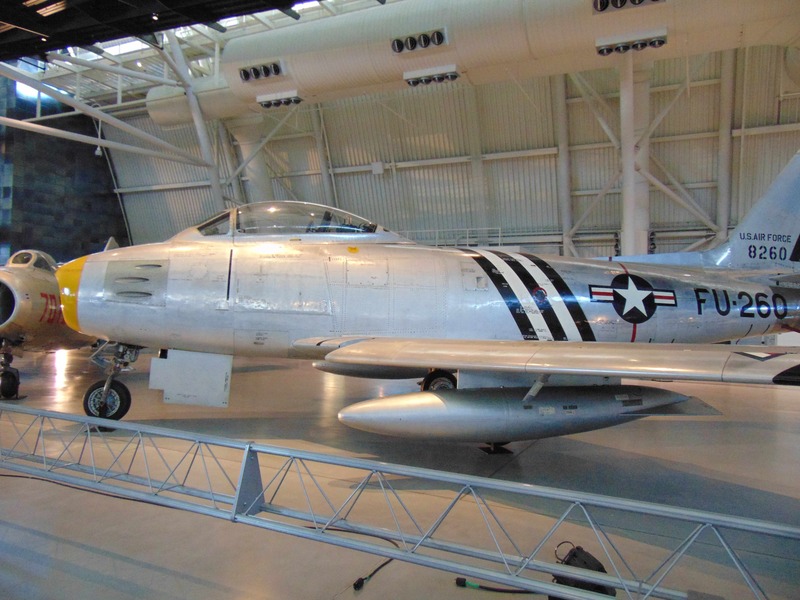 It was not at difficult trip to conduct and is one any squadron, especially those anywhere close to I-95, should be able to conduct for minimal costs. For NC-143, the cost was one overnight accommodation and fuel making this a very cost friendly trip to take with cadets. I think we’ll do this again next year.